I have several stoves that I use and enjoy, but most of my backpacking “cooking” is boiling water for coffee or dehydrated meals. My canister stove is great for trips with several people where we are able to share the stove. The canister stove is also helpful in cold weather (more hot meals) or if someone doesn’t have a stove I have one I can loan them. I have used my canister stove many times and I like it – it performs great. 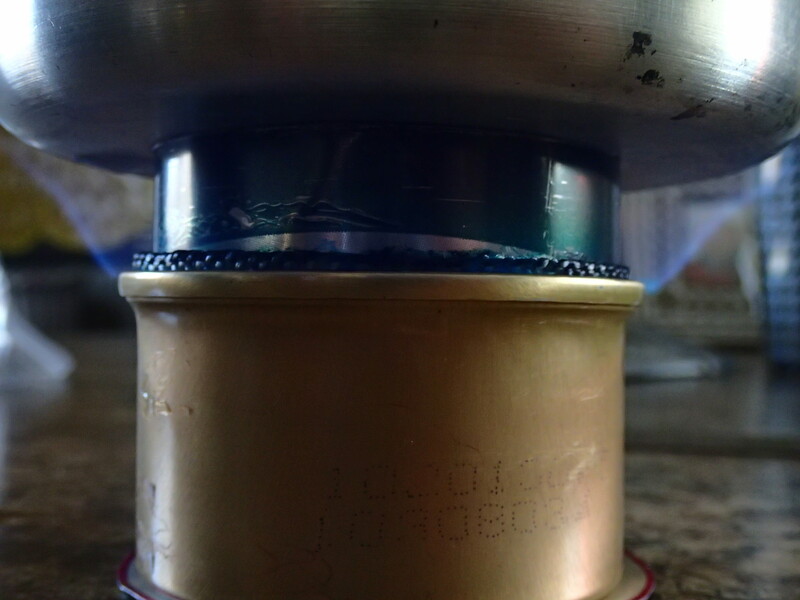 I did a review for another alcohol stove (that I also really like) on this blog. I like to experiment with options, and I recently had an opportunity to try a new stove and it may be my favorite…. I am a member of http://www.hammockforums.net and they have a PIF (Pay It Forward) section. The basic rules are if you claim something offered by another member, you have to offer something in return. The sender pays postage. The PIF is really fun as I have picked up a few odds and ends that I have been wanting to try. I recently acquired two items that may be the perfect stove set up for me from the PIF – so that’s why I say it’s “free.” I didn’t directly pay for it, but just offered something in return. I claimed and received a 10 cm Imusa Mug with homemade lid and the materials to build a DIY (Do It Yourself) Alcohol Stove in separate posts. The alcohol stove was the Fancy Feest wick stove. I assembled the stove last night and tested it this morning. WOW! 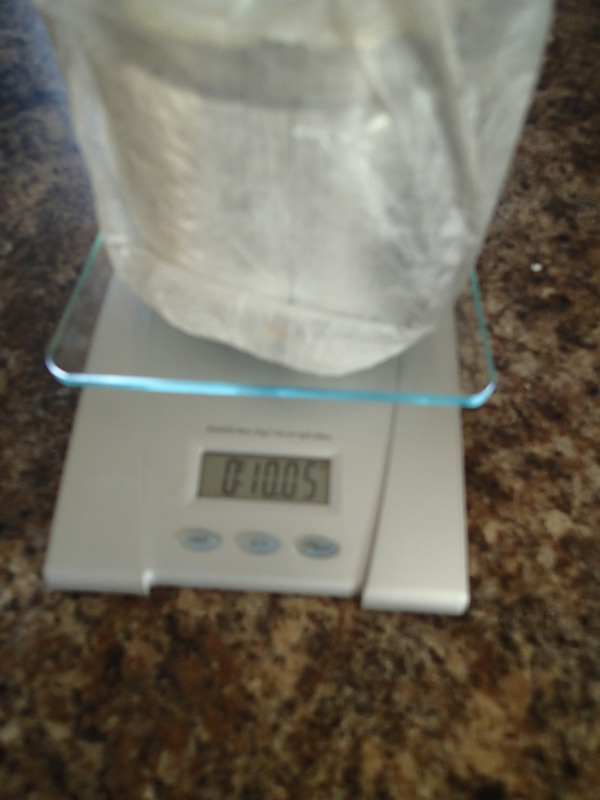 Here’s my entire cook kit including 4.5 oz of fuel (Yellow Heet) weighing a total of 10.05 ounces! 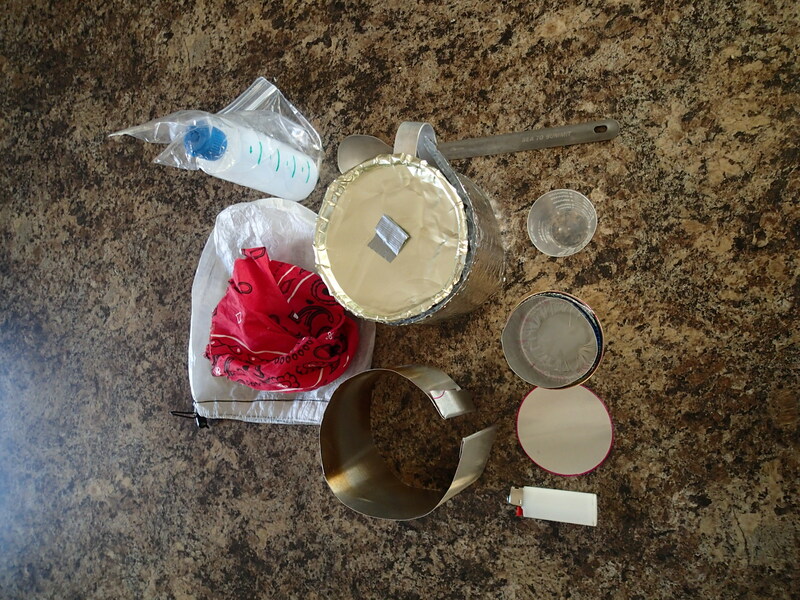 This is what is included: a 4.5 fl oz fuel bottle in a separate ziplock bag, Titanium long handled spoon, Cuben Fiber Stuff sack, 1/4 of a bandanna to use as a pot grabber, Imusa 10 cm mug with homemade lid, a measuring cup, stove, a circular piece of heavy duty aluminum to act as a base reflector, windscreen, and a mini Bic lighter. I didn’t use the windscreen, but it brought the water to a rolling boil in 4.5 minutes and burned just under 6 minutes before the flame went out. It burns with a pretty blue flame. So if I plan on just boiling water, this stove may go on my trip to be field tested. 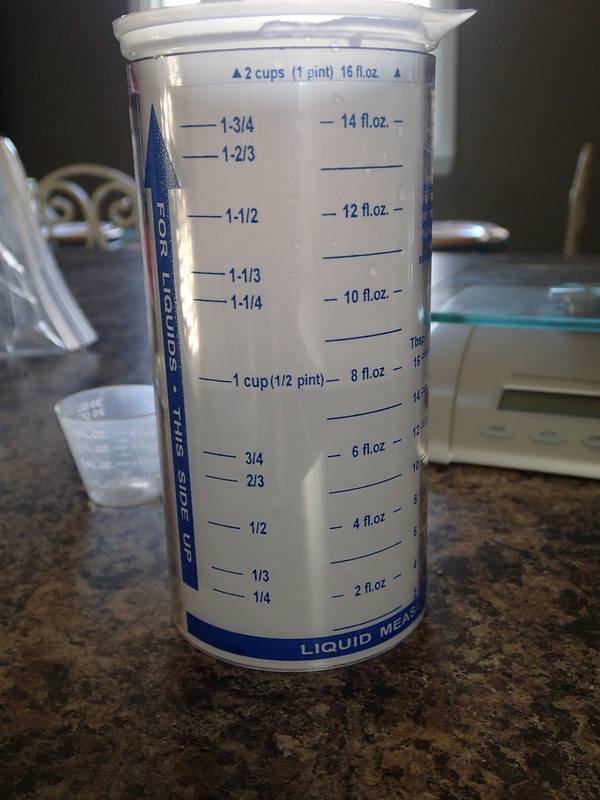 This combination is super light, efficient, and very easy to use. 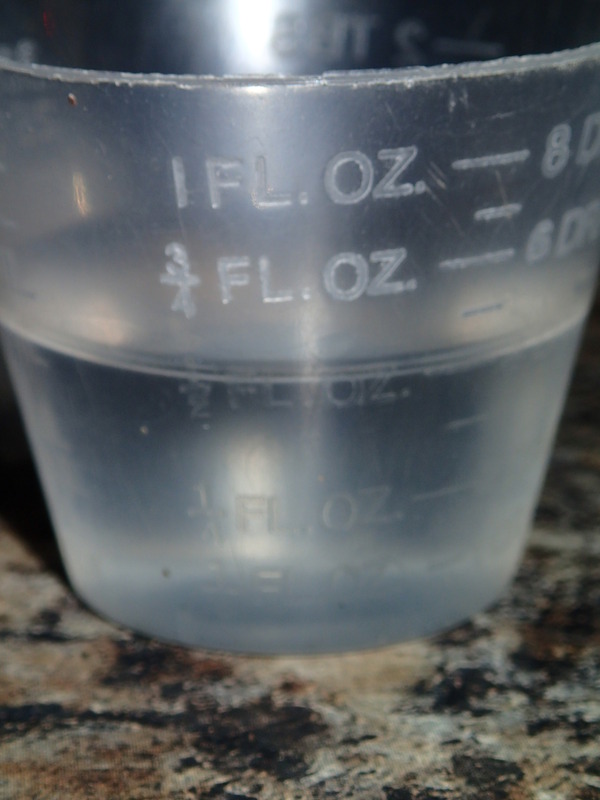 In the field, I expect my fuel consumption to go up, but for just over 10 oz in total weight, I should be able to get at least 4 cups of water boiling. That’s enough for my average trip. As a note: I usually put my fuel in the bottom of my top quilt so it burns more efficiently in the morning, but this is especially important when using alcohol stoves. This entry was posted in Backpacking, Report, Testing and tagged backpacking, hiking, report. Bookmark the permalink.